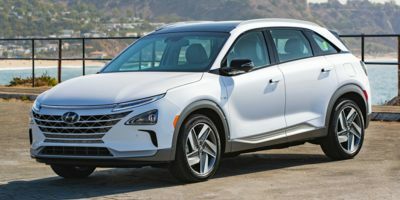 The 2019 Hyundai NEXO is a 5 passenger Automatic transmission, 2 Wheel Drive Sport Utility Vehicles. It is available in 2 trim packages, the Blue, and Limited. The new Hyundai NEXO invoice price ranges from $57,257 to $60,669, while MSRP ranges from $58,300 to $61,800. The 2019 Hyundai NEXO is available in 4 exterior colors, Cocoon Silver, Copper Metallic, Dusk Blue, and White Pearl, and 2 interior colors, Meteor Blue, and Stone Gray.